You may have heard about this – referred to as the ‘non-surgical facelift’ or ‘liquid facelift’ – but wondered what it entails. It’s not a surgical procedure, but rather a specialised technique using a combination of increasingly sophisticated dermal fillers which are injected to combat the loss of elasticity in ageing skin. The result is a more youthful and refreshed appearance which appeals to people who do not want to go under the knife because it involves more time and greater cost. I work with people from all walks of life who wish to improve areas of concern. For many, the Eight Point Facelift (developed by Brazilian plastic surgeon Dr Mauricio de Maio) presents the perfect solution. We have been using these innovative techniques for several years now and are as eager to see the results that you want as you are! 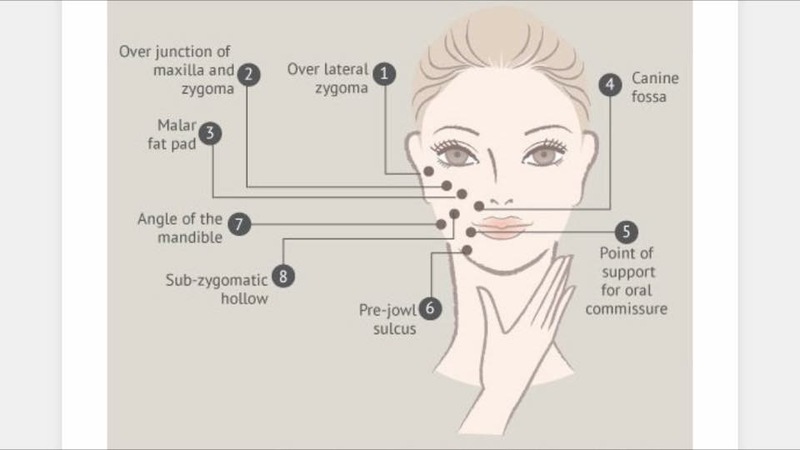 Fillers are injected to restore volume in the mid-face area, hence the Eight Points. They enhance the face’s natural features, lift specific areas, smooth and tighten the skin. By altering contours in a subtle manner, I will achieve your natural-looking desired result. Products contain hyaluronic acid and as they attract and retain water, they have the added benefit of improving your skin’s texture and condition. If you’d like to find out more about the Eight Point Facelift, please get in touch today for a complimentary consultation at our clinic in Hampshire, situated in a beautiful semi-rural location in-between Portsmouth and Southampton. Having spent several weekends in London recently, two superb events showcased tips and shared information involving the latest techniques. I was handpicked by a pharmaceutical company to attend the FACE Conference 2015, held the Queen Elizabeth II Centre, where live demonstrations took place. 2015 marked the 13th year of the UK’s Facial Aesthetic Conference and Exhibition. I mingled with delegates and exhibitors from the entire professional sector, there were lectures across different agendas taking place throughout the day, along with exhibitor workshops and seminars. Speakers included Dr Zein Obagi, Consultant Dermatologist and Medical Director at ZO Skin Health Inc, a board certified practising dermatologist and head of the Obagi Skin Health Institute in Beverly Hills, California. It was a great privilege to be selected for FACE 2015 and reflects the prestige of my growing business here at the face and skin clinic. Around 250 medically trained fellow professionals – comprising doctors, dentists and clinicians such as myself – attended an Advanced Facial Masterclass with Mauricio de Maio, a plastic surgeon from Sao Paulo and member of the Brazilian Society of Aesthetic and Reconstructive Plastic Surgery. He presented tips and the latest techniques – the Brazilian aesthetic industry has experienced massive growth in recent years. I’ve come away with even greater enthusiasm to add to that passion I already have for all aspects of my work! I’m looking forward to incorporating the latest global expertise to benefit my patients! Our fresh new face launches! Well here it is, live – our beautiful new website! I’m delighted to welcome you to our very own fresh new face and look forward to further engaging with you through it. This is the place where I can expand upon Facebook and Twitter feed activity and tell you about what I learn when I meet the best and most innovative practitioners in the professional world of facial aesthetics and skincare treatments. This is a very important aspect of my own professional development as a clinician, so keep an eye on what I have been up too. You’ll also find before and after images here, featuring varied treatments. This gallery will be updated on a regular basis to reflect both trends and treatments. Until my next post please tell me what you think of the new website, sign up for the email newsletter and share my blogs, because I am committed to practising the best techniques and procedures to benefit YOU. What can dermal fillers be used for? Stop Shaving Your Armpits and Legs Now! Gift vouchers are available for any of our treatments, just contact us to find out more.